11 L x 5 3/4 H x 2 3/4 D in. 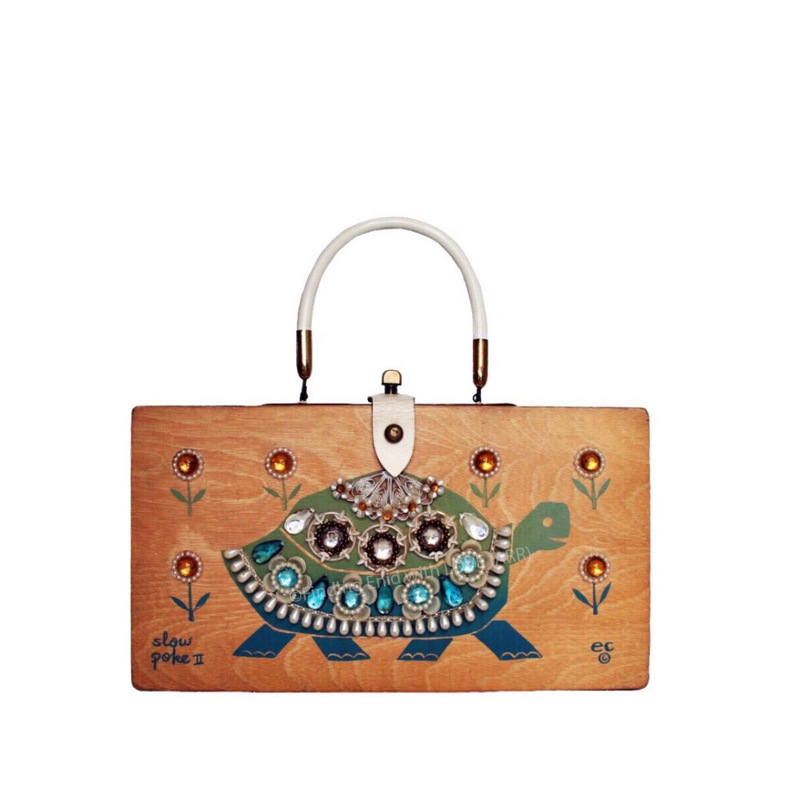 Box purse depicting a faux-gem encrusted turtle in (leisurely) motion among a field of gem flowers. Screen printing is a gradient from royal blue to light green. Faux jewels include Aquamarine, Topaz, Crystal and small opalescent flowers with amber centers. "slow poke II" is screen printed in lower left corner. One variation on the theme. Reg. no. GP44191; 08/20/1964; "Side view of turtle"
Shows less than typical wear; original screen print vivid; jewels intact and in good condition. One of several designs on this theme.